Lesson 5: Think Before You Drink! Sip Smart! BC™ Lesson 2 activities start building a knowledge base upon which subsequent informed selection of healthy drink choices might be made. A discussion of food groups helps students recognize drinks that constitute healthy drink choices and examination of labels on real-size drink cut-outs provide a strategy for identifying the amount of sugar in some drinks. A goal setting activity involves analysis and reflection of class-level data as reported in Sip Smart! BC™ Drink Diaries. Some drinks don’t fit into the four food groups in Eating Well With Canada’s Food Guide or Eating Well with Canada’s Food Guide – First Nations, Inuit and Metis. 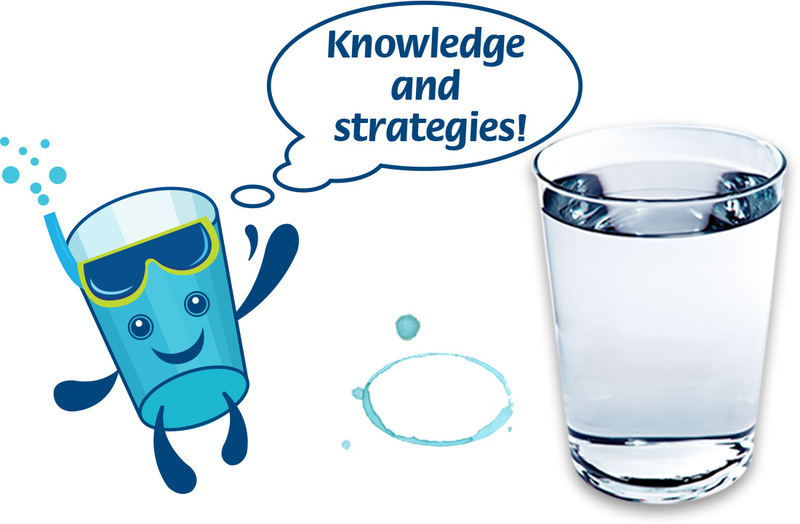 Drink water – it’s always a great choice! The number and size of servings we drink affect the amount of sugar we consume. Knowing what is in drinks helps us to make healthy choices. To recognize that sugary drinks do not contain enough nutritional value to fit into one of the 4 food groups. To discuss the importance of drinking water. To discuss the implications of the drinks reported by the class. 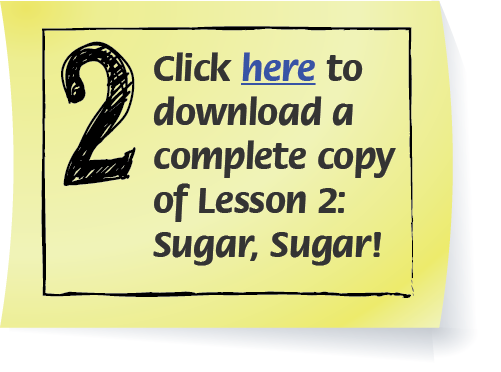 To determine and report how many cubes/teaspoons of sugar are in various drinks. To use nutrition labels to find information about sugar in drinks. To distinguish drinks with naturally occurring sugars from those with added sugars. To identify different names for sugar. Activity 4: Count the Cubes!